In a moment akin to Saul's conversion on the road to Damascus, Conservative Party Interim Leader Rona Ambrose has accepted the reality that the legalization of marijuana is going to happen. Ambrose, who led the charge against the legalization of pot while in the health ministers chair while Stephen Harper was Prime Minister, seems to have had a change of heart now that the old fuddy-duddy is no longer at the helm. Her focus is no longer wasted on fighting the inevitable. She wants the Trudeau Liberals to move fast to address a lawless void that has been created since the October 19th election. The prime minister has appointed former Toronto police chief Bill Blair as Canada's pot czar. His job is to consult and introduce legislation. He has not released a formal timeline and that worries the Conservatives who fear an unregulated wild-west of pot dispensaries in the vacuum of the time it takes to get the legalization process figured out. I have to agree with Ambrose. Trudeau's platform commitment to legalize pot and his election has created a bit of no-mans land for enforcement agencies. Yes, marijuana possession, trafficking and use is still illegal, except for medicinal purposes. The law has not changed. Have the Conservatives changed their tune or simply accepted the inevitability of the new reality? This retooling is a responsible approach to keeping the government on it's toes as the nation transitions to regulation and legalization. I am sure the Conservative base still feels that legalizing pot equates to being the purveyors of evil to the youth of this country. There is a public safety component that demands we keep it out of the hands of our children. However, the election win made marijuana barely illegal, a harmless herb despite tons of medical evidence that illustrates that teens that smoke pot are at a higher risk for cognitive problems, motor-vehicle accidents and substance abuse. 1/3 of Canadians have tried pot at some point. It is the most popular quasi-illegal drug in the country. Teenagers are more than twice as likely to try pot than adults. 28 per cent of Canadian children aged 11 to 15 admitted to using cannabis at least once in the past year. The Canadian Centre on Substance Abuse states that as much as 10 per cent of Grade 12 students – smoke pot every day. Studies suggest that the casual use of marijuana by teenagers can have negative consequences. 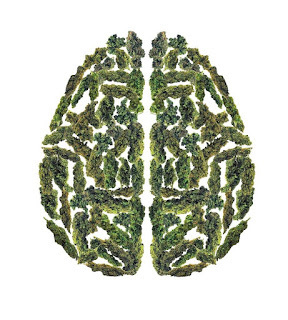 Pot is at least as harmful as alcohol to the developing brain. Teens need to hear a consistent, evidenced based message about pot. The longer it takes for the new legislation to be put in place - the more confused they will be. The message that pot is a cool legal recreational way to relax, mellow and have fun could outweigh age restrictions. Research shows that the transformation from the brain of a child to the brain of an adult is a critical time. Evidence based studies show that regular marijuana use — once a week or more can change the structure of the teenage brain, specifically in areas dealing with memory and problem solving. As a father of two teenage boys, the message about recreational drugs has become a lot more murky since last October. My message on drugs and alcohol has been consistent, neither is good for the developing mind. There is a fine line between hypocrisy - do as I say, not as I do, and I hope that educating teens about the vulnerability of the growing brain might dissuade them from experimenting until they are legally permitted to.